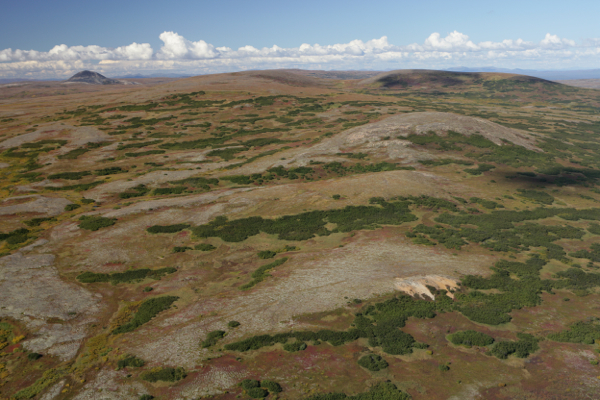 The area where Pebble mine would be built, according to its proponents. A U.S. federal judge has temporarily blocked the Environmental Protection Agency (EPA) from taking action against a massive copper-gold mine project in Alaska proposed by the Pebble Limited Partnership, parent company Northern Dynasty Minerals (TSX:NDM) (NYSE:MKT) said Tuesday. "Although the decision is a procedural victory and does not resolve our claims that EPA pursued a biased and predetermined 404c veto initiative against Pebble by not complying with the requirements of the Federal Advisory Committee Act ("FACA"), the decision is important for several reasons," Tom Collier, CEO of the Pebble Partnership said in the statement. The EPA initiated the 404(c) process to stop the mine at the end of February, alleging the Pebble Mine would have significant and irreversible negative impacts on the Bristol Bay watershed. The unusual action received global attention because Pebble has not filed a permit application. The agency has said it is waiting to see the court’s written order on the preliminary injunction and hopes the litigation is resolved quickly so it can move forward with its regulatory decision-making. The Pebble Partnership insists that if built, the mine would create thousands of jobs and provide an economic base for an economically depressed region that would last for decades. Estimates are the project would also generate $165 million to $213 million in annual tax and royalty revenue to the state as well as taxes to the Lake and Peninsula Borough, the regional municipality. Anglo American (LON:AAL) left the project last year, handing its 50% stake in the project back to Northern Dynasty and taking a $300 million write down in the process. 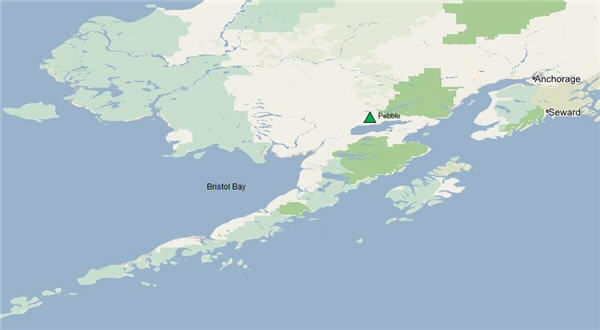 Rio Tinto (LON, ASX:RIO) followed Anglo’s steps in April, announcing it was donating its 19.1% stake in Northern Dynasty to two Alaskan charities. Court proceedings are expected to resume early next year. The proposed Pebble Mine, 320 km southwest of Anchorage, is within the Bristol Bay watershed. Image courtesy of HDI Mining.